It's the New Year. But Are You Still Stuck Waiting? A superfit friend of mine climbed Mount Kilimanjaro last summer. After her trip, she came to our house for dinner. Chris and I had one million questions for her. How hard was it? How much additional training did she do? What was the best part? The worst? Climbing Kilimanjaro is one of those things that sounds both awesome and terrible to me. I kind of want to do it and kind of really don’t. She said the hardest part was not the physical difficulty, but, instead, how slowly you have to go. She’s used to fast, distance running and, here she was, going at a pace slow enough for the entire group - all of varied fitness levels - to stay together. It’s also important to go at a pace slow enough to let your body acclimate. The guides know what pace the group needs to be able to summit together. On the last night - summit night! - you slow down even more. You take a rest step between each single step. There you are, just hours from the top, and the pace decreases! She said she cried privately behind her goggles as the pace slowed - the mental challenge far outweighing the physical. I thought of my friend’s experience as the new year turned. By now, you’ve read enough about goal setting and having an intentional year and deciding where you want to be 365 days from now. These are all good things to do. We have our goals over here, for sure. I have high hopes for what 2019 could mean for our family. But I’m reminding myself that sometimes life is meant to be lived more like her Kilimanjaro climb than it is a race. There are things to run hard and fast at, absolutely. But there are certain seasons - the waiting periods - that we can’t muscle through. You can’t make your body create a baby by goal setting. You can’t will yourself to be married through checklists. You can’t magically be in the future you’re yearning for with a new planner or more organized home. We can just take the next best step right now - one foot in front of the other. And sometimes, when we’re so close to the summit, the pace might slow. The rest steps may come in the form of a heartbreaking miscarriage, a horrible breakup, a lost job or home. I don’t say this to make them sound trite or small, but, instead, to remind you that nothing is wasted. The Lord makes good out of even the deepest pain. Each one will be used in your life. Just like my friend’s rest steps were required to make it to the summit - and beyond - so these things will be needed to propel you to the future meant for you. A friend of mine had a miscarriage before she had her last baby. I asked her about it and held back tears as she talked about mourning the precious life. Then she told me that, although it still hurts, she knows she’d never have the baby she has now if she’d held the other one in her arms. And I wouldn’t change anything about my life if it means I get to have Millie now, she told me with tears in her eyes. I laid on the floor with McCoy recently and thought about the heartache Chris and I both experienced before him. The journeys we each walked - the good, the bad, the beautiful - every, single step - led us to him. I wouldn’t change anything - not the tears we cried, the heartbreak we experienced, the sometimes far-too-slow pace it took for us to get to him. Because each one led us here. So make your goals, friends. Have high hopes for this year. Hard work will not be wasted. But while you go hard at those goals, trust in His timing, His pace. Allow yourself to rest in the goodness of His grace each day, believing that your time is coming. Sending you love and solidarity this year. I’m sitting here eating my favorite holiday treats (pretzels, drizzled with chocolate and sprinkled with candy canes). I’ve been trying to avoid this snack, but there are boxes upon boxes of in our cabinet. Let’s just say I’m being festive? It’s 60 and sunny here, which is absolutely my kind of December. Mac and I went on a walk sans coats today. I’ve been thinking a lot, lately, about what I want the holidays to look like for him as he grows up. Over Christmas break when I was younger, I remember playing outside and reading a lot. I think I read Chicken Noodle Soup for the Soul in one sitting when I was 12. Those stories were so good, man. I don’t know that I’ll read as much this Christmas season. McCoy isn’t really into family reading yet :) But, I thought I’d share a few books I’d recommend for those who might be pounding the pages over the next week. 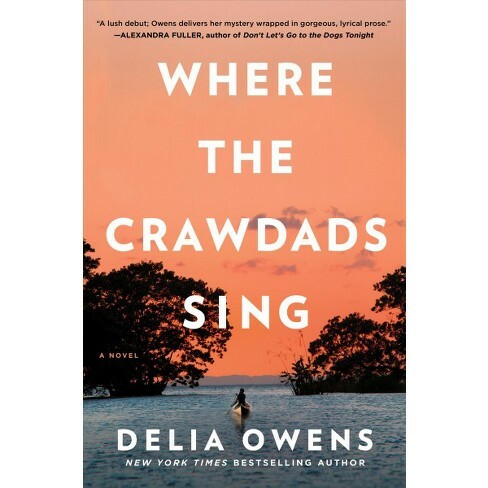 Where the Crawdads Sing // I just started reading this one and, honestly, can’t say enough about it. It feels like summer. Reads easily. And the story will hook you fast. The President Is Missing // I feel like I need to preface this one: it’s cheesy. But if you want a fast-paced, mindless read, this will fit the bill. It’s basically like 24 in a book. Liturgy of the Ordinary // This is the perfect book to read to start the new year with an appreciation for the daily routine. It will help you recognize the beauty in the mundane, like making your bed or mowing the lawn. Girl, Wash Your Face // If you’re looking to start the year off with some extra motivation. One Day in December // I haven’t read this one yet, but it’s on my list! I’m also wondering if anyone recommends Nine Perfect Strangers? I have not heard great reviews but being a major #LianeFan, I’d like to give it a go. Sometimes, I get the memories of my ex boyfriends confused. Which one of them took me on that date? And said that thing? And laughed that way? I’m not telling you this to make you think they were insignificant. The opposite, in fact. These were men who, at the time, felt very important to me. I thought, at one point, I might marry them. They were the ones who taught me just how broken a breakup could make you feel. Who made me wonder, months later, if my heart would ever stop feeling the dull ache that had become my new normal. The other day, when a memory popped into my brain, I realized it used to be one that felt vivid and important to the relationship. Yet last week, I couldn’t remember which relationship it was. It hit me, then, that this could be important for someone who is in the thick of heartache to hear. The memories that feel so (so) painful right now, might someday feel more like a t-shirt you find in the back of your drawer. It used to flood you with emotion, bringing you to your knees with the scent of his cologne. But now it’s just an old Cubs t-shirt and you’re not totally sure if it was Jack or Mike’s. Just like that shirt, there is a season of life when the memories will keep you warm. You will savor them as you heal; they will confirm that the relationship was significant. They will sting a little, too. It was once so good; where did we go wrong? Will be a question that haunts you. But as you heal, gaining distance from them, they’ll get smaller and smaller, less and less significant. Both the joy and pain of them will lessen. And someday, they’ll be a little blurry. You’ll recognize, then, that these memories shrunk in order to make room for new, truer ones. The beautiful, lifelong memories that won’t fade or change, because they were made with the right person. Not Jack or Mike or that guy you met at the Halloween party and thought you’d marry because your name went oh-so well with his last name. No, these memories are your forever-ones. Never to be confused or forgotten or abandoned like an old shirt. So let those memories wash over you when you need to. Laugh. Cry. Let your mind wander through the past, like a meandering tourist in a foreign city, sometimes seeing only the romance, sometimes asking the hard questions. Revel in them. But trust me when I say: the ones ahead will be brighter than anything left behind. Little things matter. I bought these glass water bottles and keep them in our fridge. Some with lemon and oranges. Some with plain water. 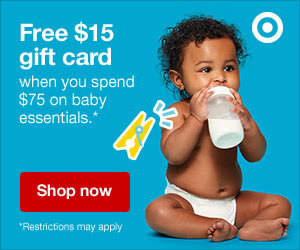 Drinking out of them feels indulgent and special. I’m learning that taking time to do little things - ones that might seem silly to someone else - feels like self care. Earlier is better. Waking up early and going to bed early aligns with my body clock. I’ve always been an early-to-bed kind of girl, but lately we’ve been getting up at 5:30 and it feels so right. Less is more, less is more, less is more. I knew this about myself, but feel like I’m learning it again as I watch Mac play. If I give him a basket of toys, he’s not interested in them. If I give him one or two toys, he plays happily. Just like when my closet is too full. We really don’t want to have to make a lot of decisions. I need my weekends to feel different than my weekdays. I operate best when the weeks feel more rigorous - with working during Mac’s naps, an earlier wake time, etc. It allows me to more fully enjoy the weekends. Watching my mom in retirement shows me where I get it. She keeps a schedule every week even though she doesn’t technically have to. I am sure I will do the same!